Italian – O Hei There! For my first dineLA meal of the Summer 2013 period, I chose one of my $20 lunch choices – Sotto. 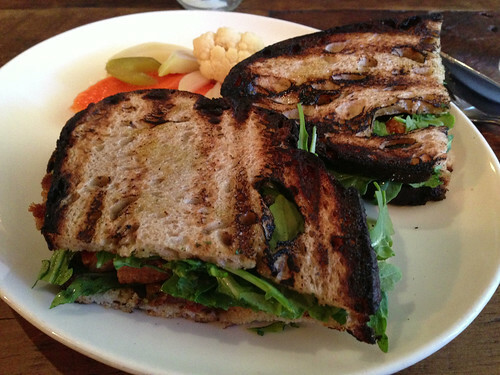 The restaurant is only 1.5 miles from my work, and their dineLA lunch menu (as well as their regular lunch menu) has the crispy pork belly porcetto sandwich that isn’t on the dinner menus. As I previously mentioned in the dineLA picks post, the optimal lineup I went with (grilled pork meatballs, crispy pork belly porcetto, cannolo siciliano) netted me a savings of $12, and can save a diner up to $14 if one chooses the rigatoni as the 2nd course – great deal. I’ve heard very good things about the grilled pork meatballs, and very polarizing opinions about the porcetto, and for the most part, those sentiments were right on. The meatballs were juicy and flavorful, with a slight char that didn’t compromise their soft consistency. 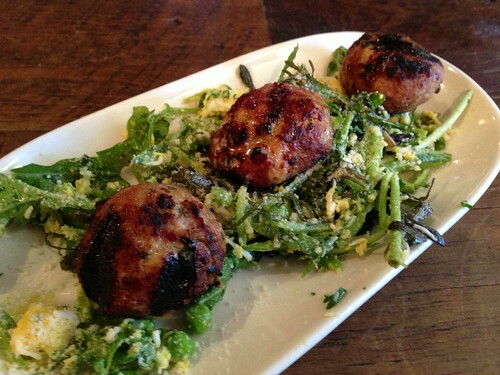 The bed of bitter greens, peas, sieved egg, and pecorino cheese was actually just as good as the meatballs, to my surprise – countered the meat well. I actually really hate peas for the most part, but they were just fine here. The sandwich, which I was really looking forward to, was solid, but a slight letdown. It’s not so much porcetto/a (or pork belly) as it is pork belly chips, almost chicharron-esque – the meat was completely fried. One reason I love all things pork belly, particularly the crispy variations, is that the meat usually has both the crispy exterior from the skin AND the softness from the meat and fat. The thin slices in this variation were a bit one-note for me. 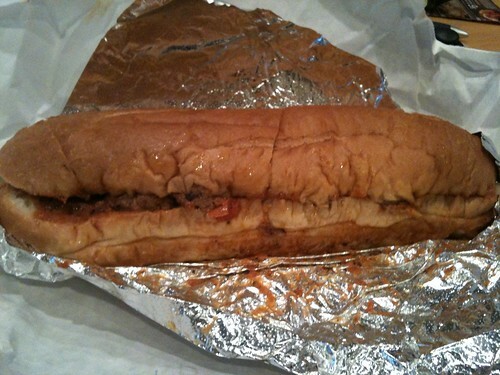 The sandwich, however thin it was, was at least huge from a wideness perspective, and the bread was nicely grilled. 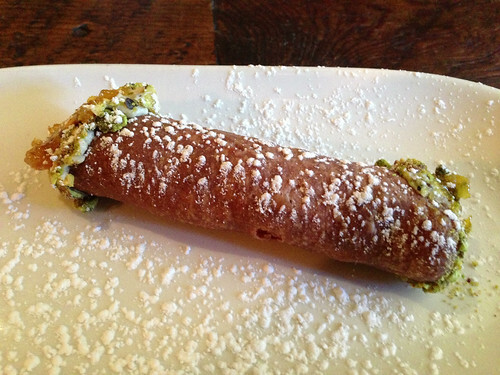 Of the 3 dishes I had for lunch, the cannolo was the one I’ve had from my previous visit. It was actually one of the highlights of that dinner, and it proved to be the best part of this lunch as well. I’m no expert on cannoli, but I really like eating them on the rare occasions I have them here in LA. 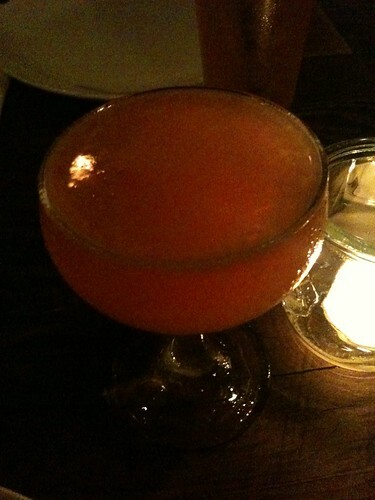 Sotto’s version, in my opinion, is the best the city has to offer. Creamy ricotta filling, great pistachio flavor, right amount of sweetness from the touch of marmalade – just an amazing dessert. I asked for a fork to try to look civilized in eating it, but ended up just wolfing it down by hand. 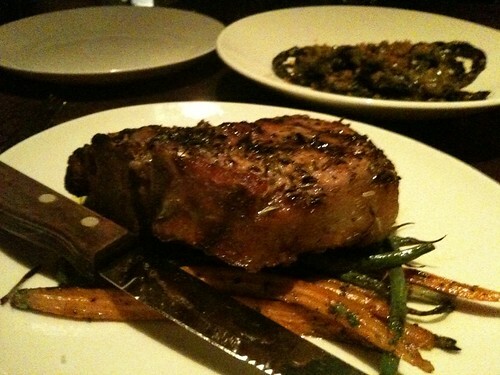 This was a great meal by dineLA standards, in that you save a significant amount compared to ordering the same items off the regular menu, and portions and service weren’t compromised by the promotions period. By the time I left the restaurant, it was probably half-full. Most of the diners actually made reservations, but that doesn’t seem to be necessary at lunchtime. While the sandwich wasn’t as I hoped, the other 2 dishes were very good, and I still recommend the dineLA lunch menu – just order the pizza or rigatoni instead. 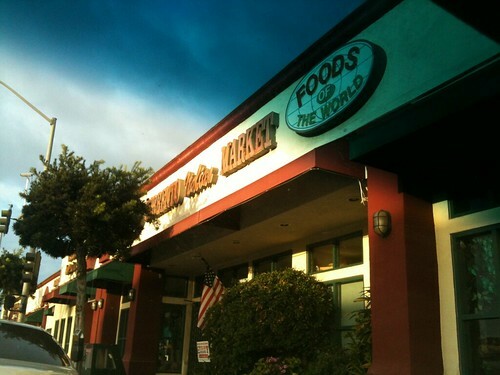 Also, lunch only Wed-Fri.
California Fresh is probably as boring of a restaurant as you can find yourself walking into. Restaurant looks boring, menu looks boring, food looks boring. But I’m never truly disappointed when I’m there. I usually just get salads/wraps or grilled fish when I’m there, and I’m always stuffed without feeling fat. Salads and wraps are fairly generic, but are pretty good. And somehow, every time I order fish, it’s actually cooked just right. 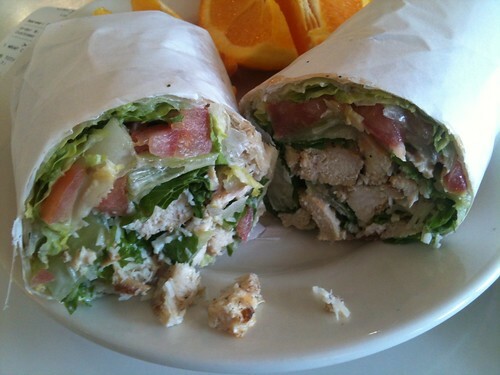 All of their menu options, from the pizzas and pastas to the sandwiches and wraps, seem to be on the healthier side. Which is good, because I rarely eat healthy. So the occasional visit to California Fresh is welcoming to this snob. I’ve heard great things about Sotto, the Italian restaurant located directly below Picca. The Italian food here isn’t the typical spaghetti and meatball-type that Americans have come to become familiar with, but rather more from the southern region of Italy, specifically Sicilian and Sardinian. It’s very hard for me to get excited about Italian food, but I was moderately excited for this dinner because it was something different that we’re used to with regards to Italian food. 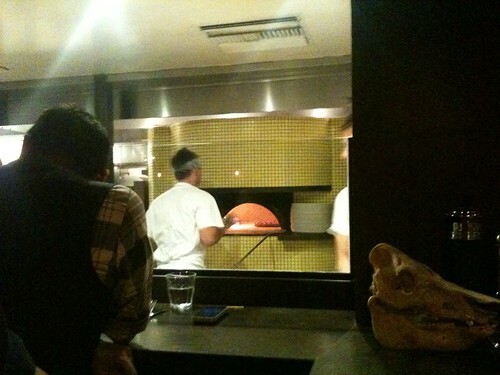 Also, there’s a pizza oven built in-house by Stefano Ferrara, arguably the world’s most famous pizza oven builder. 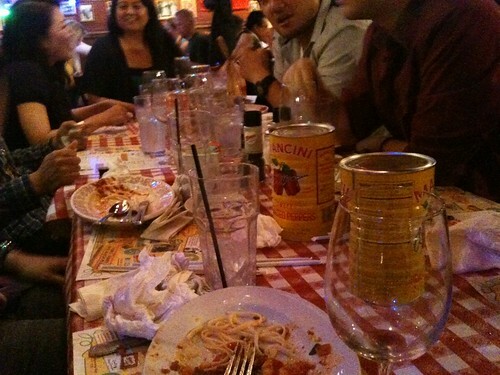 I was meeting Ben, Danno, Eugenia, Linh-Nam, and Paul at the restaurant. Since my work is about 1.5 miles away, I was able to walk over and still be the first one. I decided to get a cocktail at the bar and marvel at the oven. 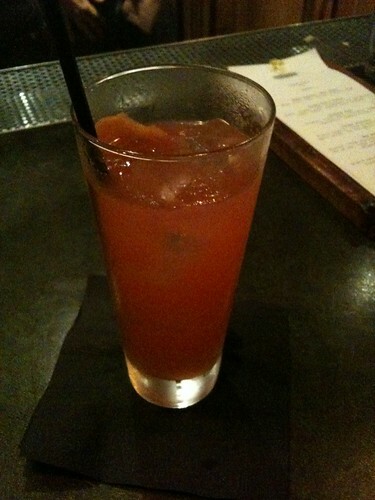 Not usually one to order drinks, I had the bartender surprise me, which resulted in the Paloma Italiana. Tasted like a grapefruit soda. Pretty awesome. I later had the Use Your Illusion, which was similar to the Paloma Italiana, but stronger. The six of us decided to split a few pizzas (all the varieties except marinara) and pastas, since that is what they’re specializing in, as well as the pork porterhouse due to my insistence. I’ll go into detail about each dish below, but here’s my general feelings about the pizza and pasta: I thought the leoparding on the pizza was great. Most people might find the pizza to be burnt, but I was told that Neapolitan pizza should have the slightly charred crust. However, I wished the crust was a little more crispy. I felt that it was on the softer side, which give it a heavier doughy consistency. 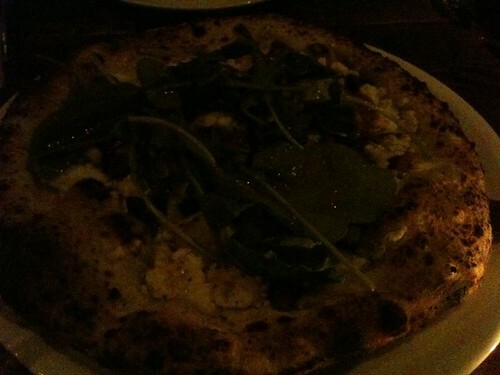 Also, the dough wasn’t nearly as good as what I had at Pizzeria Mozza. As for the pasta, I was unfortunately underwhelmed. 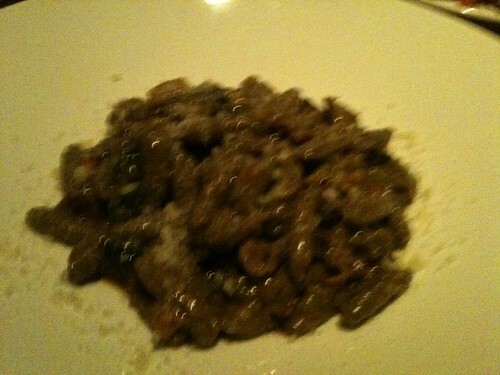 I had heard that the pastas at Sotto were hit-or-miss, but the descriptions on the menu sounded very promising. 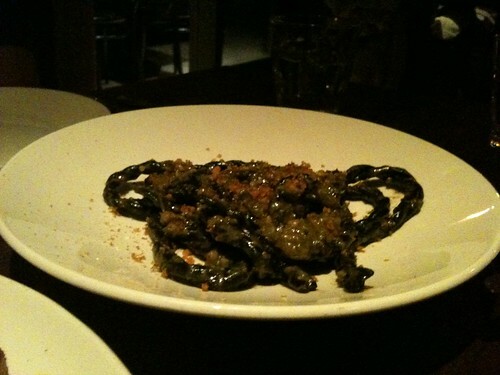 The various pastas are handmade in-house, which I appreciated. I also appreciated that the pastas were unfamiliar to the average person, especially for an uninspired Italian food novice such as myself. However, the consistency of each strand was from a perfect al dente to very mushy. And not all of the pasta combinations worked. Didn’t see this on the online menu or any of the food bloggers’ posts on Sotto. I liked it though. But eating this last, the pizza got a little soggy. 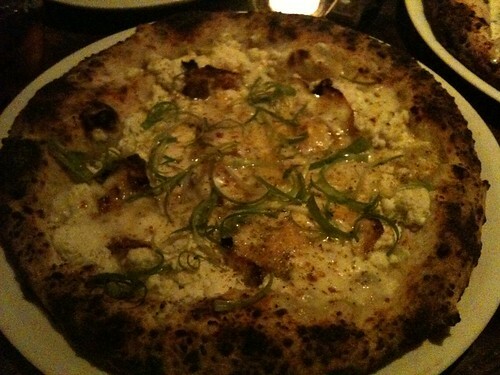 The pizza I was looking forward to the most. It was good, but I wished there was more guanciale though, as all I could really taste on the pizza were the ricotta and scallions. 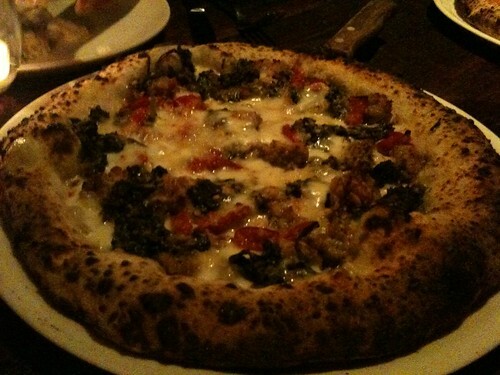 Like a poor man’s version of Mozza’s fennel sausage pizza. 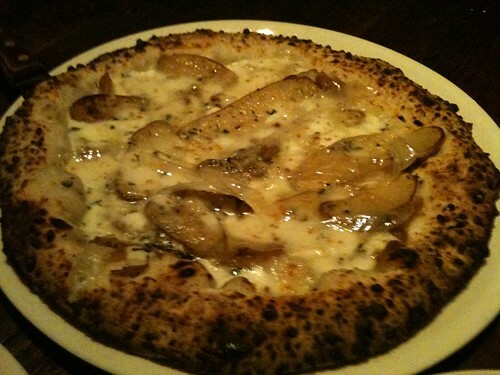 At first I thought there were potatoes on the pizza, but later I found out that they were sunchokes (Jerusalem artichokes, which have a similar taste and texture to potatoes). This might have been my favorite of the night. Very conventional pizza, but rather effective. Didn’t amaze me though, obviously. 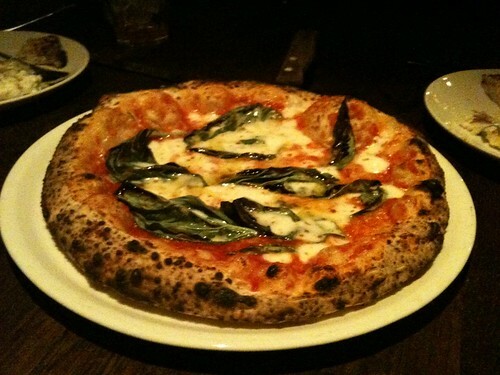 Of course, one has to order the margherita to gauge the quality of a restaurant’s pizza. The tomato sauce was more tart than I expected, but what is most evident was the wood-fired taste from the oven. I thought this was a good, but not great pizza. Not your usual spaghetti and meatballs with tomato sauce. This one was a dry preparation with a heavy sardine flavor. This was actually my favorite pasta of the night. Ben chose this pasta, which was one of the specials. Had a nice, earthy flavor, but rather mild given the ingredients. While this was actually pretty simple in preparation, I really liked it. The meat was cooked very well – not overdone at all. The result was a juicy piece of pork that absorbed the fennel flavor well. Onto the desserts. We obviously ordered all three that were available on the menu (since Eugenia was there). 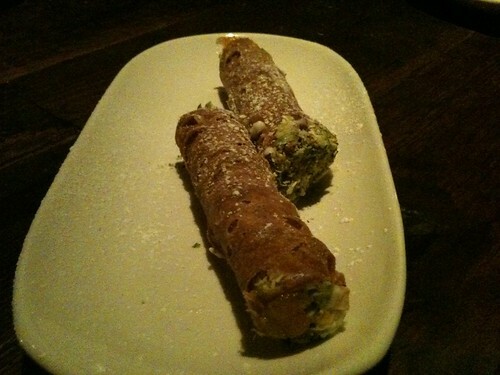 The cannoli had a nice crunchy exterior, and a creamy ricotta filling that was sweetened with the orange marmalade. I thought I would love this, but I guess I just like it. The salted rosemary caramel was more rosemary than salted caramel, and the crostata was a rather one-note dark chocolate. Still pretty good though. 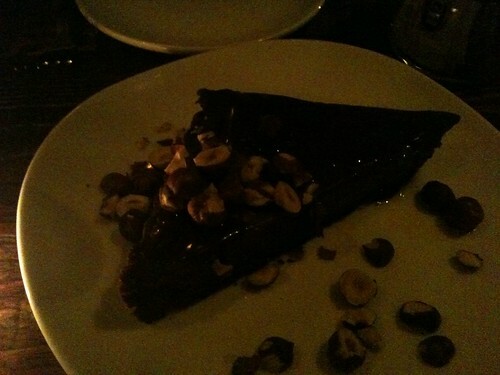 The hazelnuts were a nice touch. 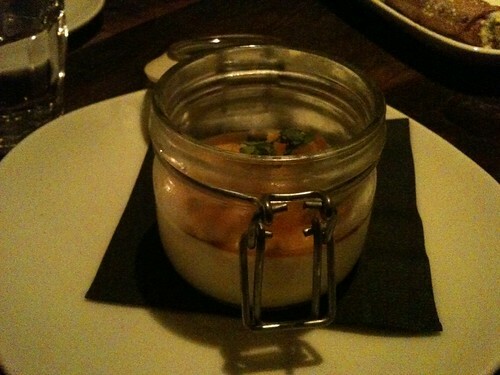 This was arguably my favorite of the trio, and arguably one of the best panna cottas I’ve had. It had a nice tart flavor which was balanced by the sweet honey, and the amaretti provided a nice crunchy contrast. 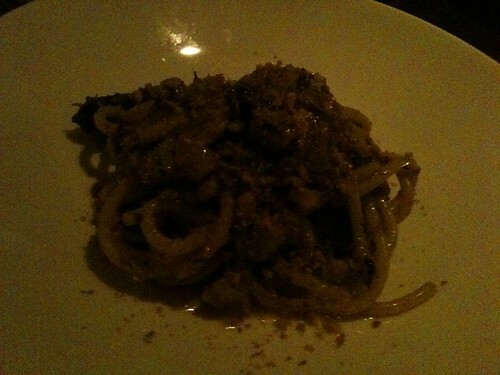 I unfortunately came to Sotto with some pretty high expectations, but the dinner still ended up being a good one. However, the dishes served were kind of hit-or-miss, particularly with the pastas. The pizzas were good, but they are nowhere near Mozza’s at this point. 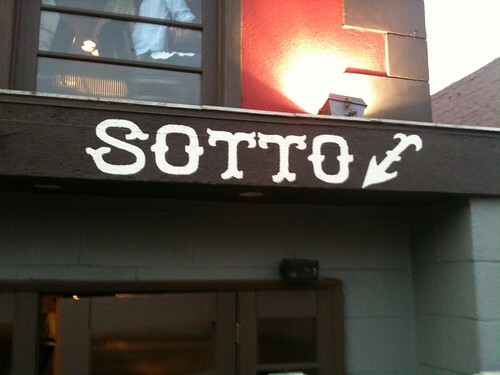 But don’t let my slight disappointment deter you from trying Sotto. I still think it’s a worthwhile restaurant. Next time I think I’ll try some of the non-pizza and pasta dishes, as well as some of the pastas to give it another shot. Remember, this restaurant is still fairly new (it opened in March I believe), so I think Sotto still has a lot of potential to develop into a fine restaurant. For now, I might have to give it some time for that development to happen.